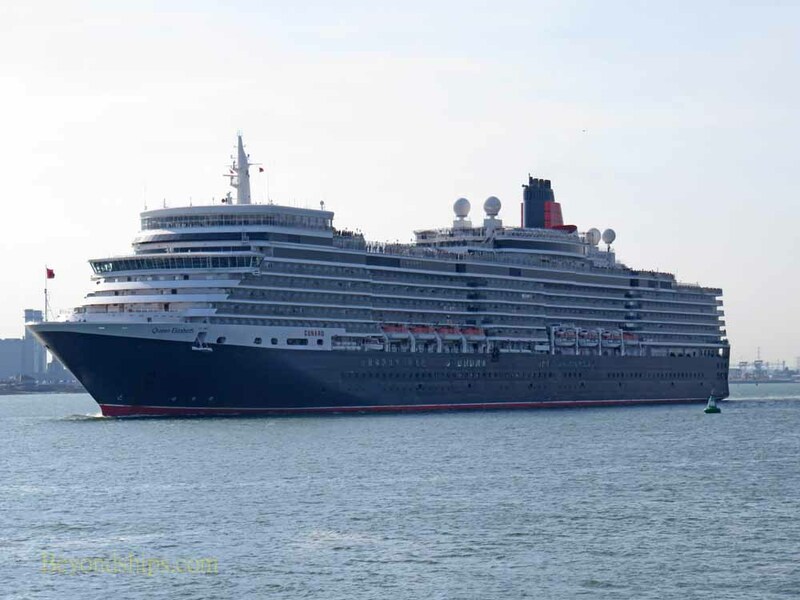 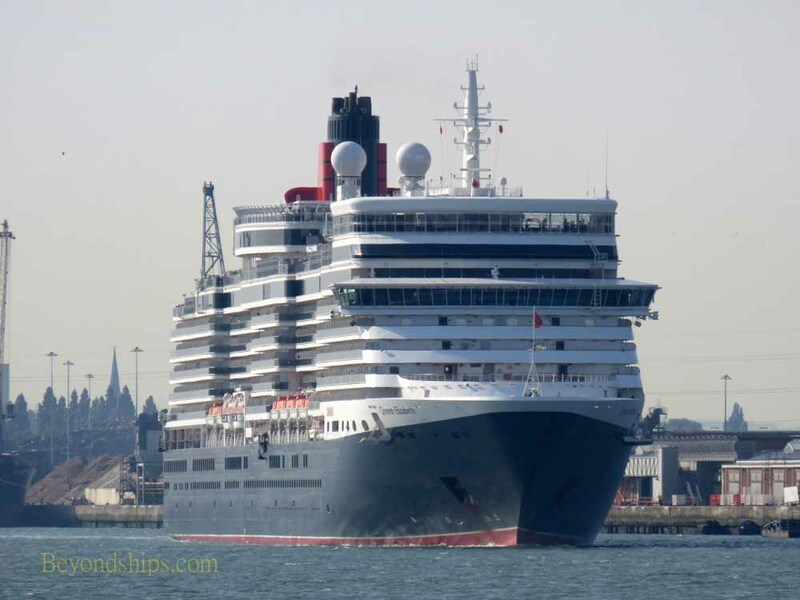 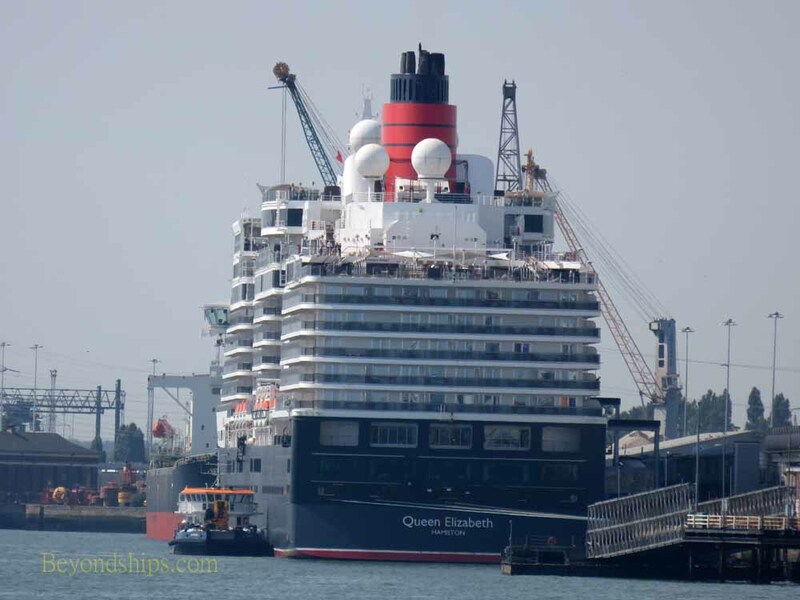 A turn-around day for Queen Elizabeth in her homeport of Southampton. 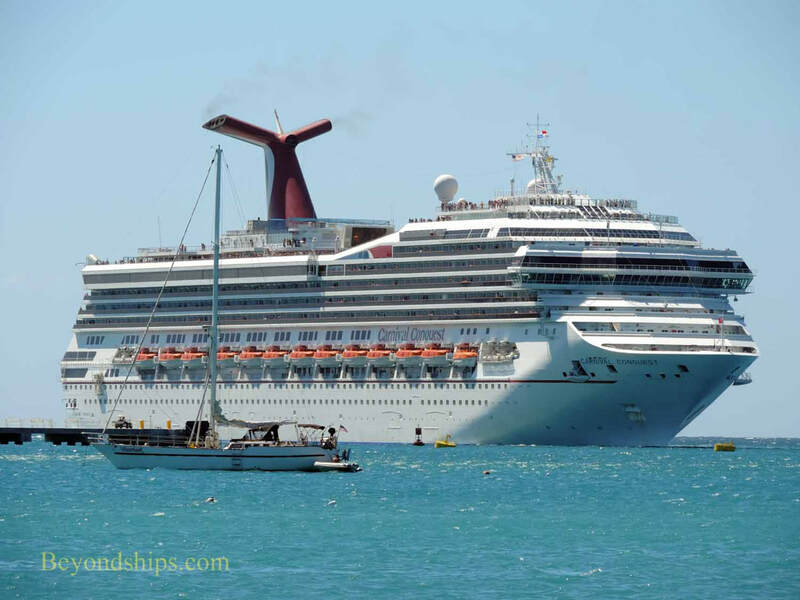 One cruise ends and another begins. 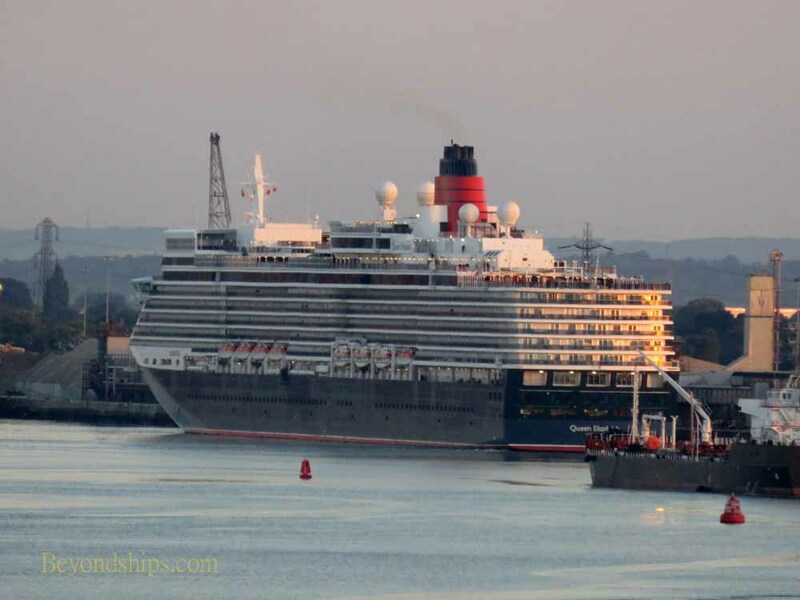 Right: Queen Elizabeth, returning from a Baltic cruise, arrives just as dawn breaks over Southampton. 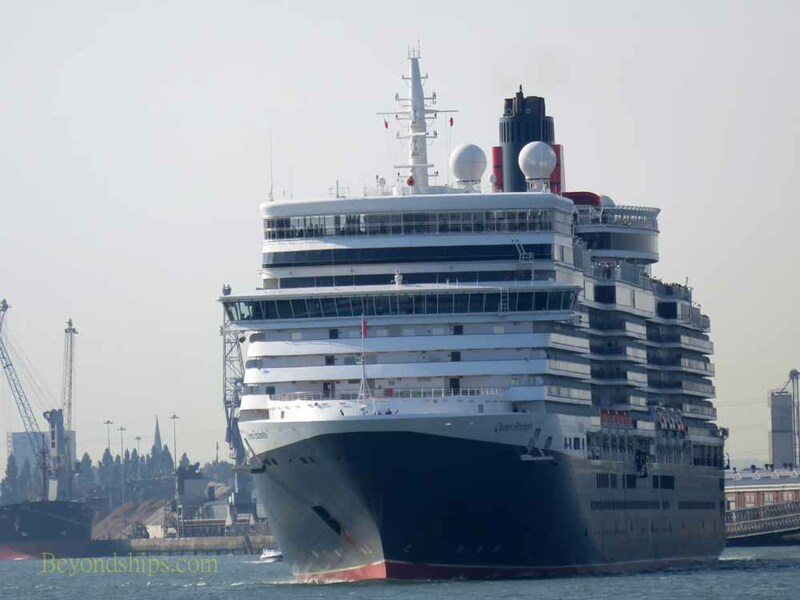 Below: Afternoon at the Mayflower Cruise Terminal. 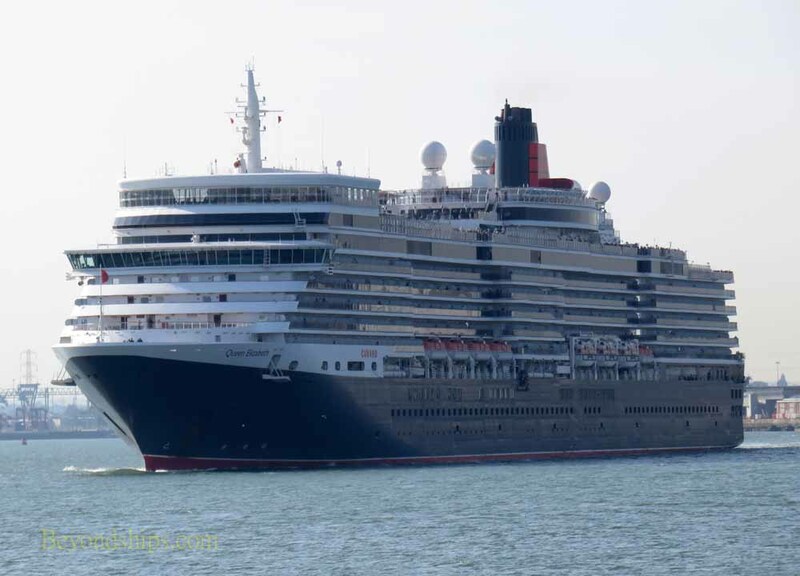 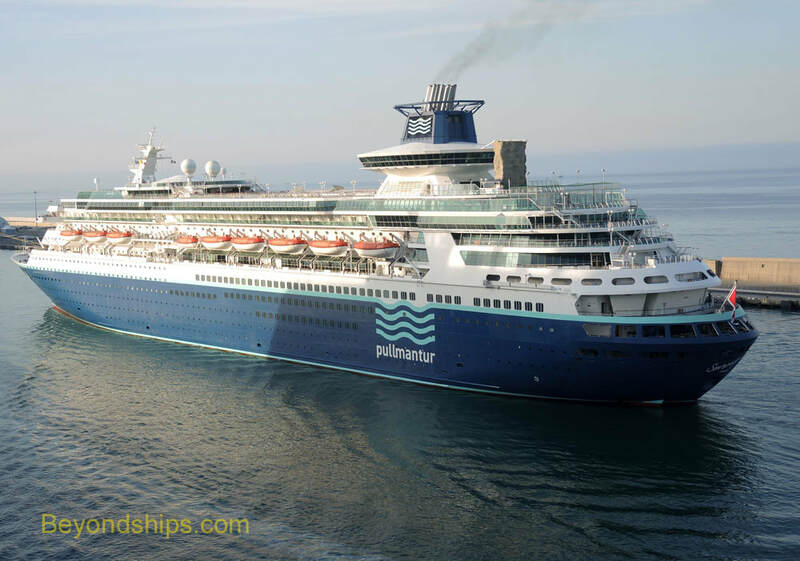 Queen Elizabeth has disembarked one set of passengers, re-provisioned and is embarking a new set of passengers. 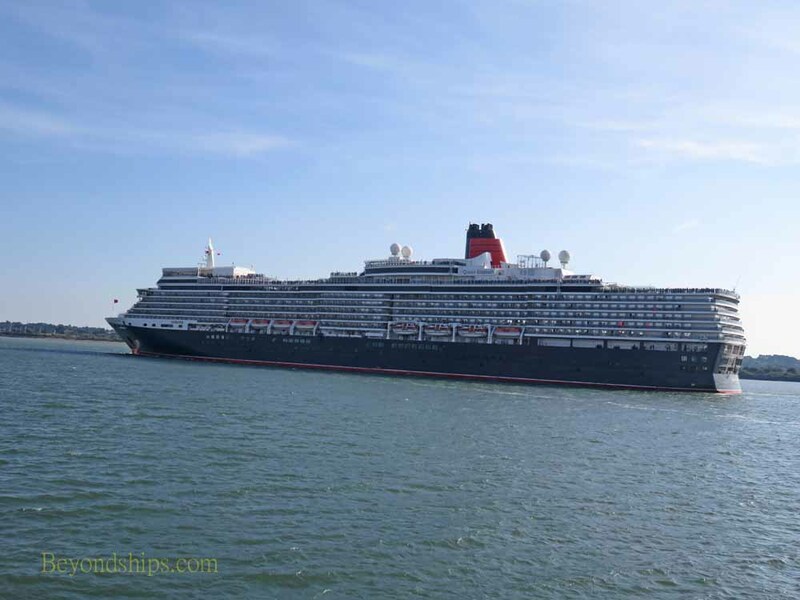 Above: With her new passengers aboard, Queen Elizabeth casts off and turns 180 degrees in Southampton's turning basin. 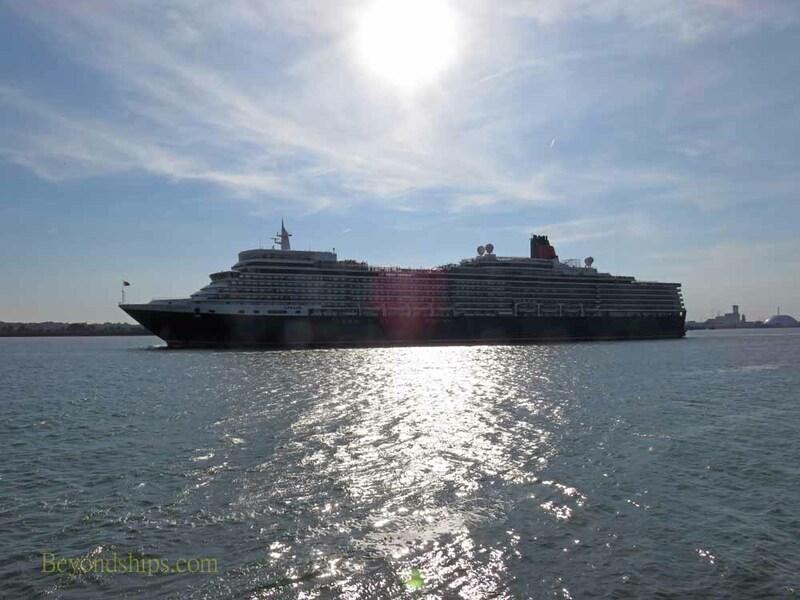 Having turned around, Queen Elizabeth proceeds slowly down the length of Southampton harbor. 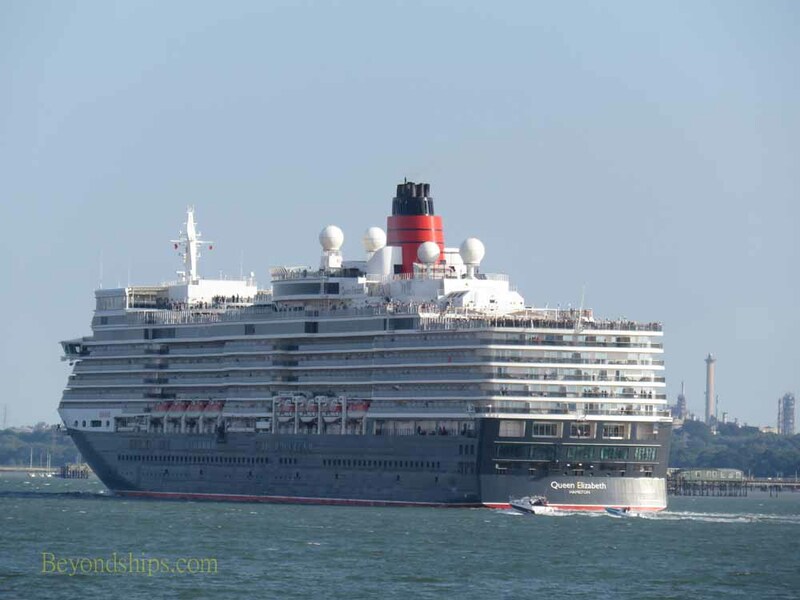 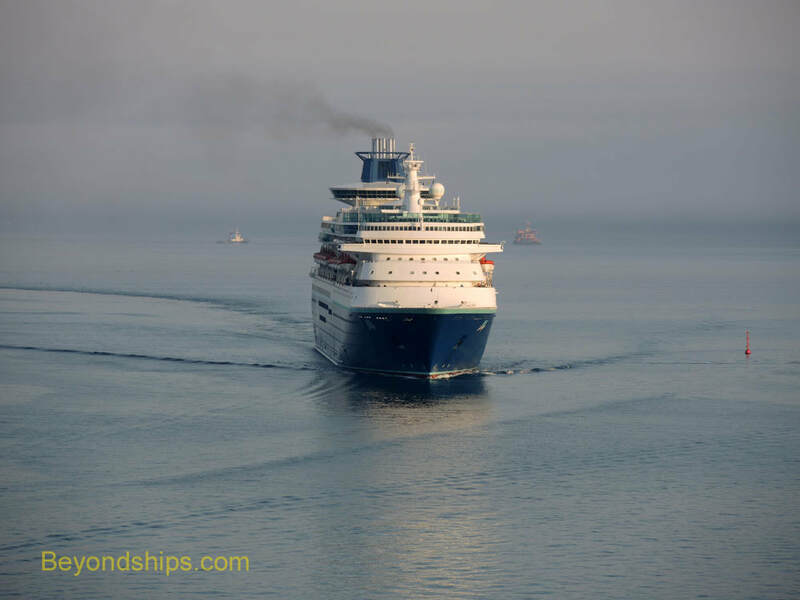 Having traversed the harbor, Queen Elizabeth exits on her way to Iceland.